A psychologist by background, Amy explores psychological, social and cultural influences upon maternal and infant health and wellbeing through pregnancy, birth and the early years. Amy specialises in research around how babies are fed; whether they are breast or formula fed, how they are introduced to solid foods, and the impact these decisions could have on their long term eating behaviour and weight. In particular, her research focusses on why feeding babies is a public health issue, affected heavily by societal and cultural beliefs and behaviours, and therefore why responsibility for feeding should not lie solely with the mother. Her research seeks to develop interventions to improve infant feeding choices targeted at wider society rather than individual mothers alone. Finally, Amy's research examines influences on maternal mental health and wellbeing during pregnancy, birth and the early years. She has published papers exploring the interaction between birth and infant feeding and subsequent maternal well being (including postnatal depression, maternal identity and parenting confidence). She has also examined how messages in baby care books, social media, and parenting forums can improve or damage maternal wellbeing in the early years. 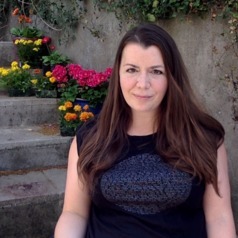 Amy is author to three infant feeding books both published by Pinter and Martin.